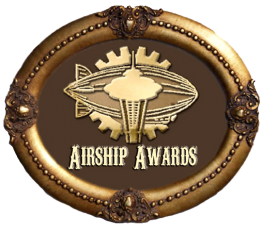 First of all, THANK YOU, THANK YOU, THANK YOU to everyone who attended the Envisioning a Better Steam Society: Steampunk & Social Issues roundtable and the Steam Around the World panel. Everyone was attentive, insightful, and contributed greatly, and it made me squee inside to have a space where we can do some intellectual hobnobbing. 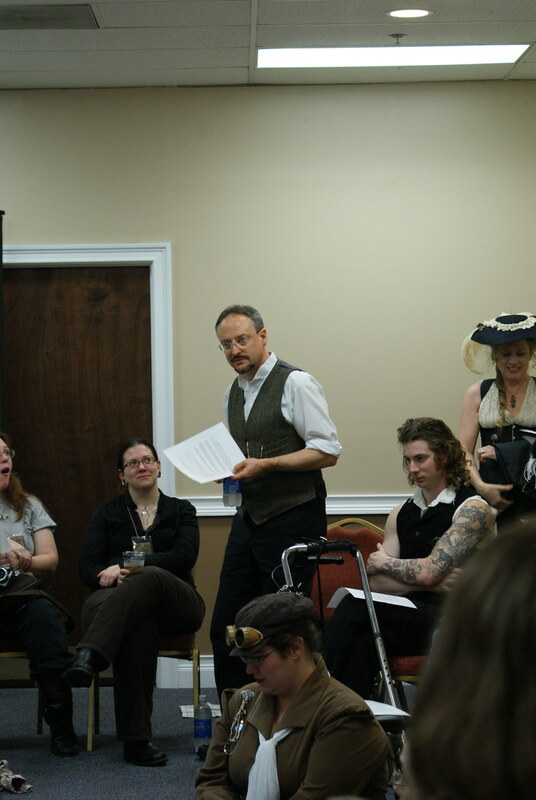 Our first panel Envisioning a Better Steam Society took place bright & early at 11 AM Saturday (early in con time), and was surprisingly attended by 75+ people. Since this was a roundtable meant to promote discussion, I had everyone sit around in a circle, with the guest speakers sitting among the attendees. Audience participation is key in promoting dialogue about difficult subjects, and I didn’t want to give the appearance of “us talking down” at others whose life experiences are different and just as legitimate as ours. Circletime! at the Envisioning a Better Steam Society roundtable. Photo taken by myself. Jake Von Slatt speaking at the roundtable. Emilie Bush is sitting in the foreground. Photo by tripletlads. Click Image for source. 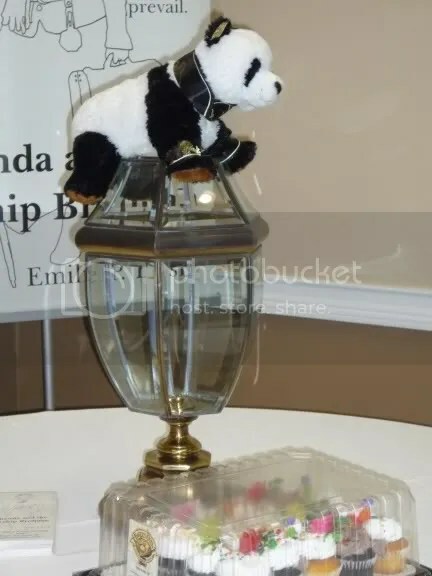 And here is Viceroy Chang sitting on top of the box Jake made for us for the event to drop in people’s cards (and later their defintions of steampunk). Photo taken by myself. The three topics discussed were Gender, Class, and Race, with approximately 20 minutes each for discussion. The most difficult part in moderating this panel was the time constraints; we were slotted for only 1 hour’s time, ended up going over by ten minutes and moving into the bar to talk further. Next year, I’d like to ask for at least an hour and a half for this panel. 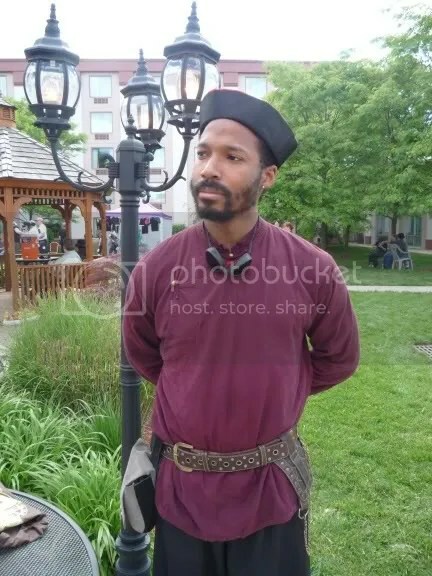 – During the discussion on gender, one man pointed out that the common perception of the “public sphere” and “domestic sphere” that divided men and women during the Victorian Era was a long-standing idea with roots in medieval times. That being said, however, the ones in control of the home also had control over the household budget, overseeing staff, and other aspects that made the woman’s role more powerful than is commonly perceived. 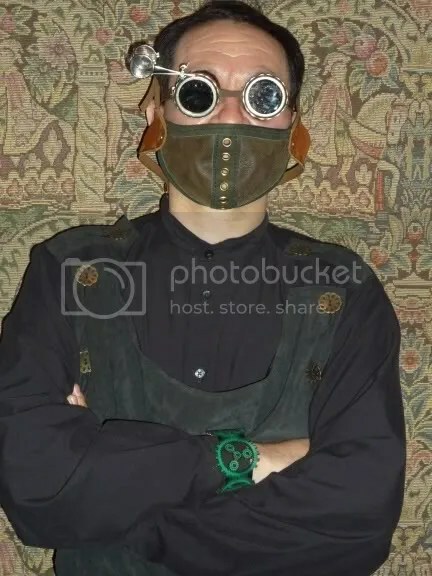 – Jake’s comment about how steampunk can be considered an anti-capitalist reaction to today’s mass production. – Jaymee’s opening comments about race and colonialism and the effect it had on her native country of Malaysia. 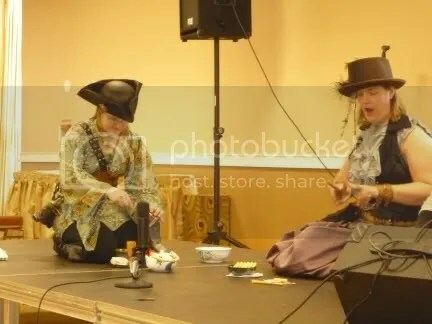 That was also followed by an epic moment when people were talking about the effects of British imperialism upon countries, and Moniquill pointed out that from her perspective as a Native American, the effects of the British never left her country. A bonus thank you goes out to the guest speakers for the roundtable: Jake Von Slatt, Emilie Bush, Jaymee Goh, and Lucretia Dearfour. 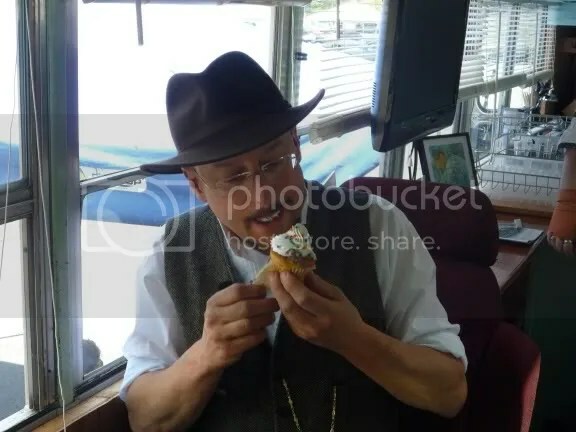 Jake von Slatt enjoying a thank you cupcake on his bus afterwards. Photo taken by myself. The second panel Steam Around the World had about the same number of people. 40 sildes in 60 minutes! Can Jaymee and I do it? Well, we sure tried! The crowd at Steam Around the World. Photo taken by myself. 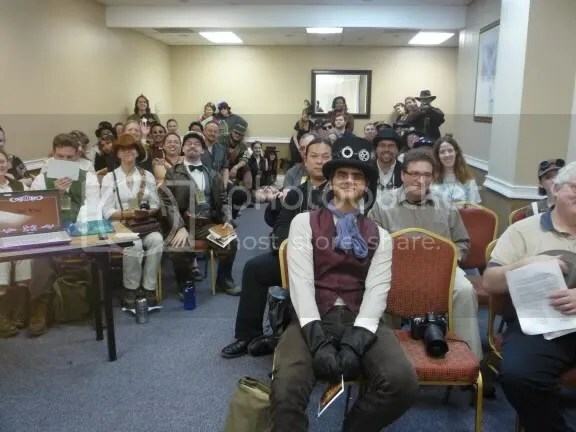 The presentation was split up into three segments: “Why Multicultural Steampunk Works,” “Who is Doing Non-Eurocentric Steam?” and “Multicultural Steampunk–The Tough Stuff.” I was quite pleased with the overall panel, but again, we went 1/2 hour over! And extra thanks goes out to James Ng for providing prints for us to give away at this panel. The feedback Jaymee and I have gotten has been immense. During the weekend, tons of people thanked us for doing this event. I also want to give a shoutout to author Leanna Renee Hieber, who wrote a wonderful review of our panels in her blog. Whisper assured me that next time, we’d get that hour & a half we needed, and we are looking into dividing our panel sessions for next year to dedicate more time to discuss each topic from the roundtable discussion. And, for both panels, I still have the original handouts that I can email to anyone interested. Just send me an e-mail and ask. Those who already left me information, I am working on a follow-up post to this (still!) for further reading about the topics we discussed. Unsurprisingly, for many SoCs I talked to at the Fair, many of them — like me — were silently counting out how many minorities were present in the white-heavy crowd. 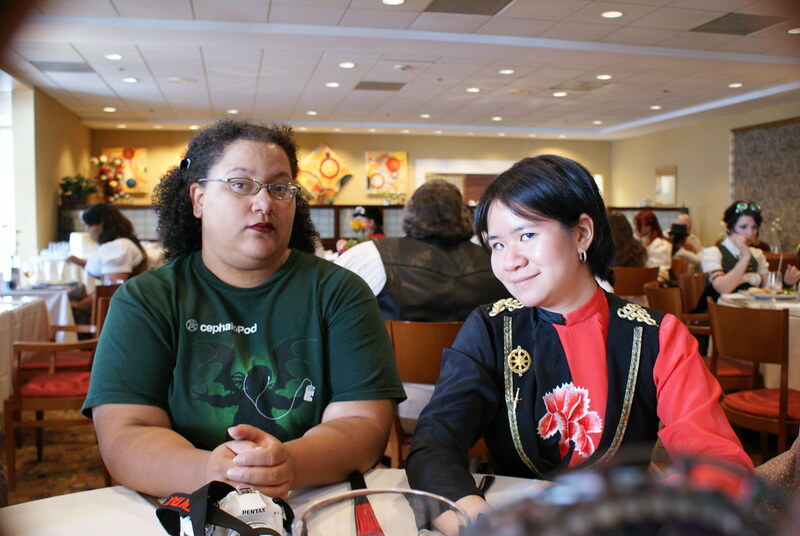 It’s a common experience for people of color to try and spot “people like me” at fandom events, to see that we aren’t the only ones who liked something. 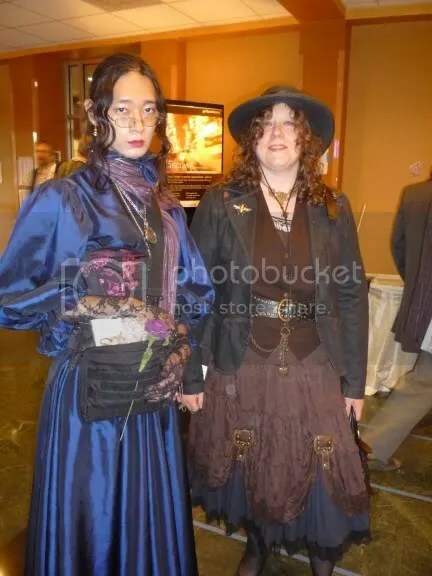 In a similar but non-steampunk example, for instance, I have a Japanese-American friend with whom I see theater often in the city. Often when we’d go, she’d scan the crowd and comment something along the lines of, “looks like we’re the only non-white ones in the audience.” This highly-attuned sense of awareness of one’s minority status is something that many marginalized people (not just for people of color, but for members of the queer community and people with disabilities, for instance) feel on a daily basis. 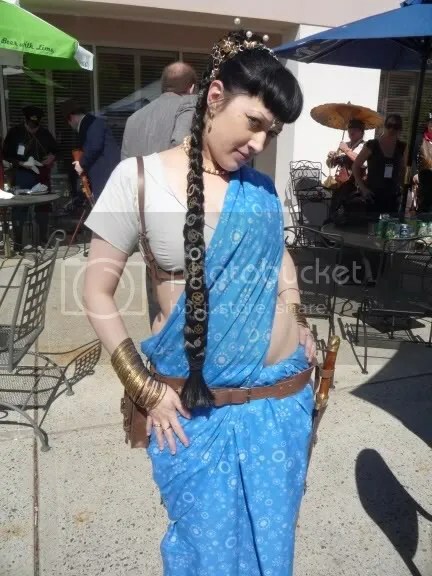 At the World’s Fair, it was one of those in-jokes that PoCs in fandom spaces trade with each other, and it had been expressed more openly at my panels too. “I counted 27 black people at the entire convention!” one black woman commented pointedly during the Steam Around the World panel. 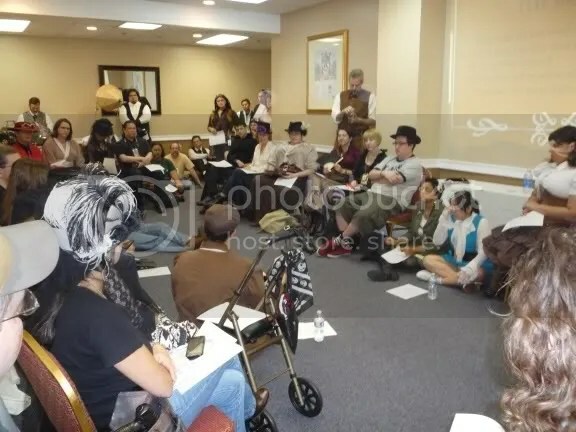 On the other hand, another mentioned how this event, especially for one taking place in northern New Jersey, had the most minorities they’d ever seen at a local con event. Both comments reflect how a person of color’s sense of comfort in fandom spaces can correlate to how diverse its participants are. 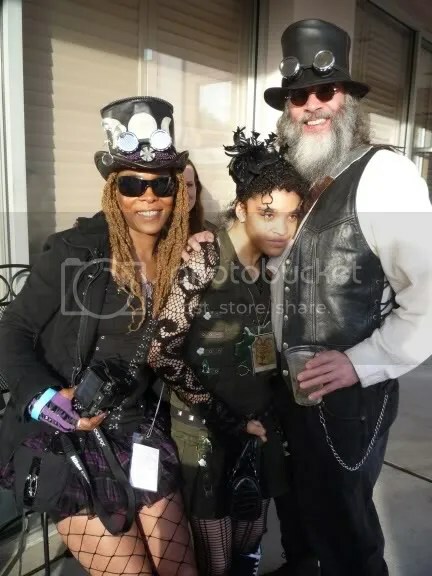 Now, although 3,700+ steampunks were there, how come someone only counted 27 fellow African-Americans? 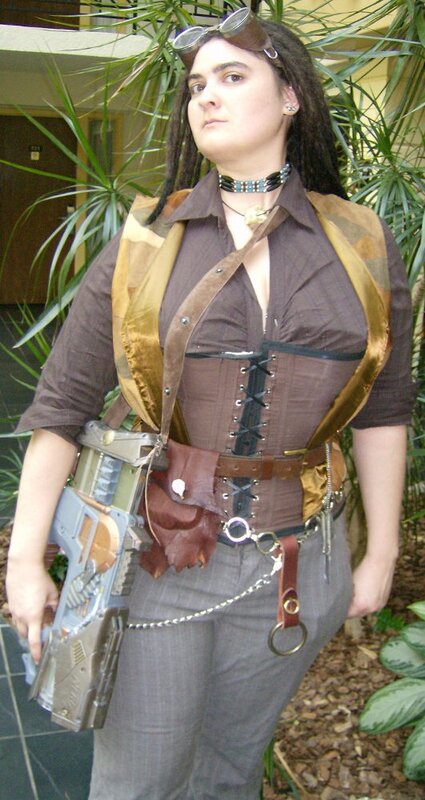 What does that say about how steampunk is viewed by the mainstream? Moreover, as people of color, how accepted do we feel participating in spaces that are perceived as white-dominated? Not that we didn’t represent. 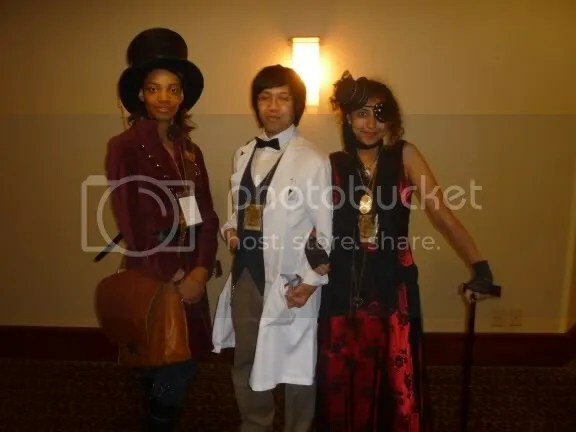 An array of steampunks of color and their awesome friends & family. 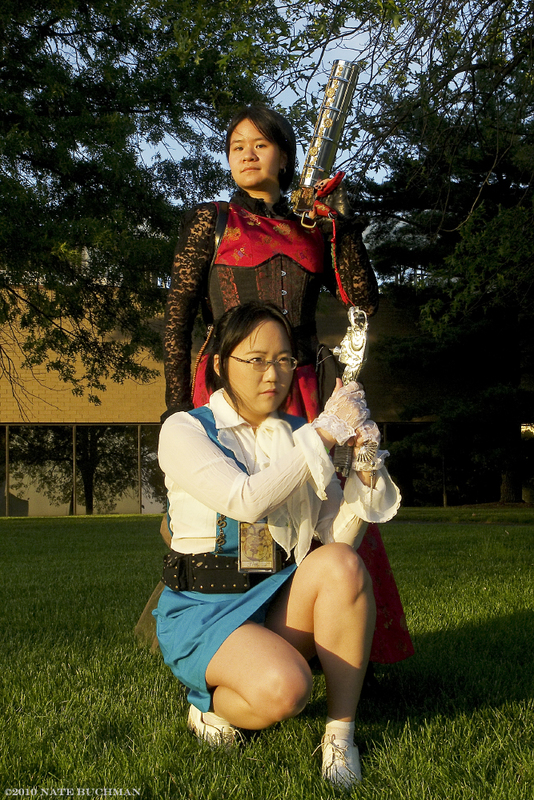 Myself and Jaymee Goh, looking as we always do: completely badass. Photo by Indie Nate. Click for source. 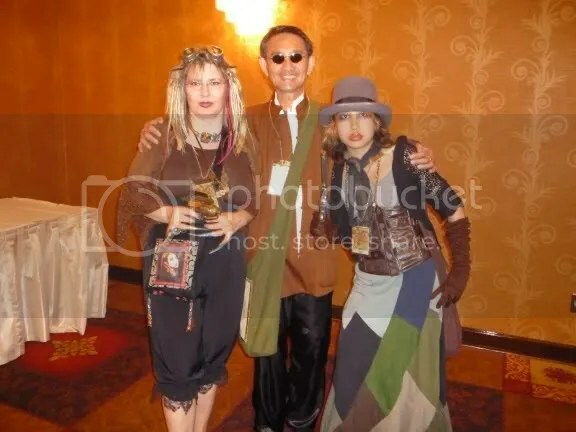 The most adorable steampunk family ever! Photo taken by myself. 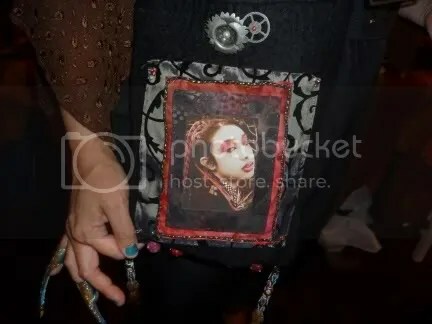 The mother also made this lovely bag with her daughter’s portrait on it. 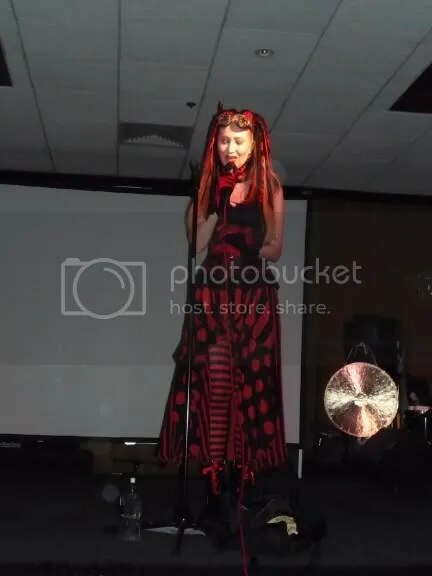 Jaymee thought she looked like a steampunk harlequin. Photo taken by myself. A young woman with an adorable look. Photo taken by myself. 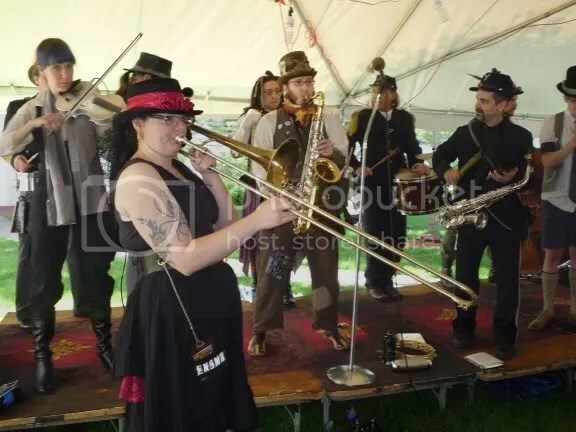 A group of young steampunks. Photo taken by myself. This lovely pair I met in the lobby. Photo taken by myself. 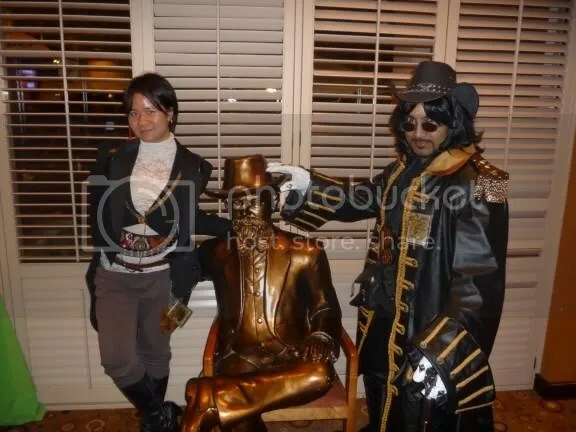 Captain Brass and myself during my birthday drinks at the bar. This intimidating Asian gent was my dinner partner during the Lovecraftian Murder Mystery. 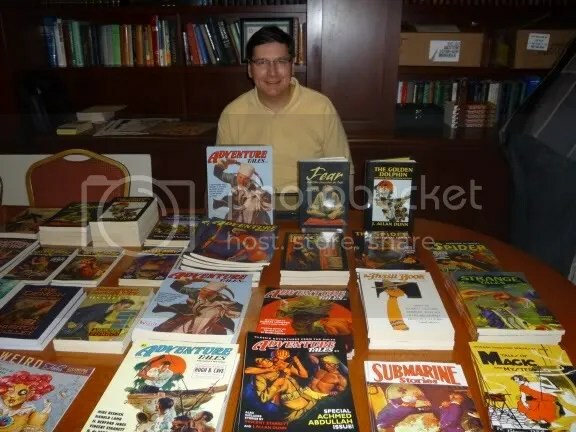 He is also the founder of ToServeFan.com and a convention reviewer. Photo taken by myself. 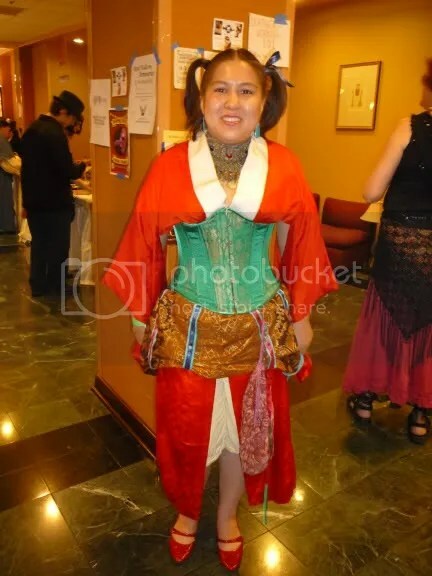 Multicultural steampunk: Not afraid of using color. Picture taken by myself. This couple were taking pictures by the brass gentleman at the bar when I spoke with them. Photo taken by myself. This trio were outside enjoying the music. Photo taken by myself. 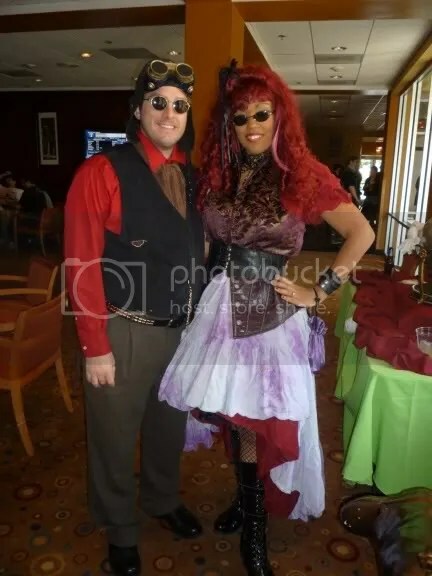 Moniquill looking fierce. Photo by her. Click for source. It’s not a real convention until The Doctor shows up. Photo taken by Moniquill. Click for source. Kitty looking his genderbending finest and Rachel, both co-maintainers of the NY Steam Livejournal community. Photo taken by myself. And this dignified gentleman in Eastern garb made me so happy. Photo taken by myself. At lunch with tripletlads, JvS, Jaymee and several others. 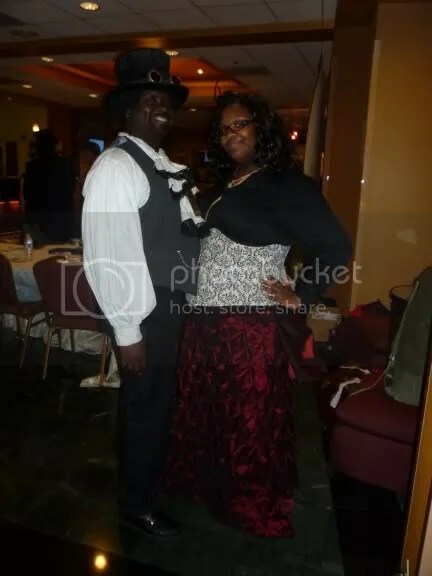 Author (and blogger for Angry Black Woman) K Tempest Bradford and myself at the table. Photo by tripletlads. Click for source. The Comiku Girls Tea ceremony. Photo taken by myself. Veronique Chevalier self-styled mad sonicist. Quirky music and great comedic timing. Photo taken by myself. Miss Izumi also gave a talk about Victorian Japan. 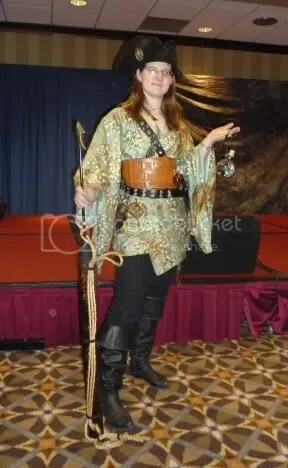 I love her Japanese sky pirate outfit. Photo taken by myself. Inside the Library of Lost Literature. An array of Adventure Tale books with classic covers. At an odd intersect: we get PoCs on covers, but playing out stereotypes. Photo taken by myself. 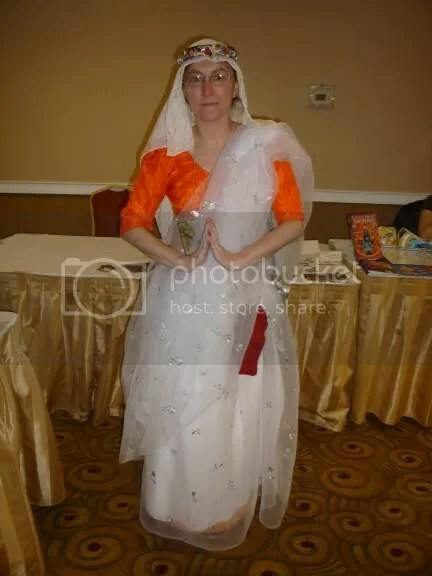 A woman dressed in a sari. Photo taken by myself. Another woman dressed in a beautiful sari. Notice the gears woven into her hair. Photo taken by myself. Emperor Norton’s Stationary Marching Band. Playing jazz and insanity. They brought the party with them wherever they went! Photo taken by myself. Lucretia Dearfour of the Penny Dreadfuls of the SS Icarus. 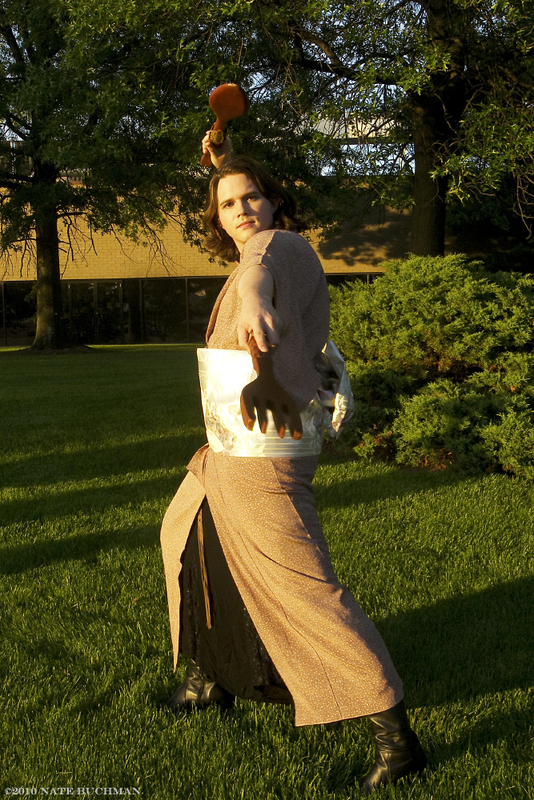 Airship cook trained in Japanese cuisine and melee weaponry. Photo by Indie Nate. Click for source. 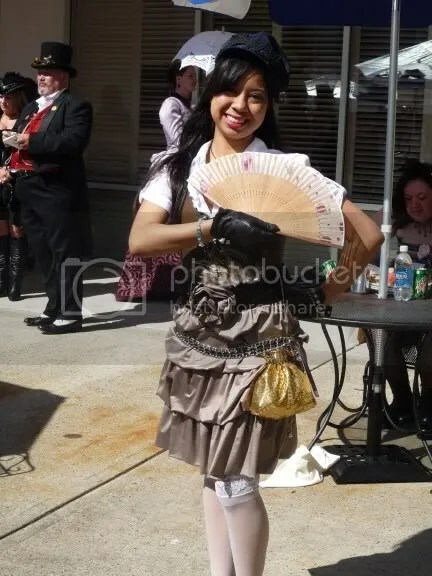 If you have any photos from the Steampunk World’s Fair that you think would fit with this blog, leave a comment with a link and let me know! I know I’ve probably already thanked you and Jha for doing all the work you’ve done, but seriously THANK YOU again. Dear Ay-leen, thank you so much for your kind shout-out, it was my pleasure to give such deserving praise. Your panels really were a beautiful, necessary addition and I’ll be excited to continue to talk up your future panels and your blogs! You are making the world a better place for your being in it. the 1st pic of the lady in the white sari is myself… thank you for posting it.